Epiphany Pilates is pleased to offer a range of wellness services through our team of independent providers. Click “Schedule Now” below to book an appointment with our outstanding massage therapist or nutritionist. Mary graduated from Heritage Massage Institute in 2007 with a certificate in Massage Therapy & Bodywork. Mary practices Integrative Massage, which means she combines techniques from different modalities to truly customize each massage. She studied Prenatal Massage with Elaine Stillerman, LMT, one of the leading experts in this field. She has also had advanced training in dealing with chronic pain issues, and her therapeutic touch has helped clients overcome pain due to illness, injury and overall stress and anxiety. Mary is available by appointment. Estela received her Master’s degree in Clinical Nutrition from Texas Woman’s University and completed her didactic internship throughout the Houston area to become a Registered Dietitian. With over 15 years of experience, she is one of the top private practice dietitians and a leading authority on weight loss. Estela has counseled clients across the country on multiple issues from weight loss to chronic disease. She provides personalized nutrition consultations tailored to achieve individual goals. Her customized nutrition plans promote positive powerful change, and deliver healthy lifestyle solutions. Estela has been featured in Health Magazine, Cooking Light Magazine, Huffington Post, Shape Magazine, and Children’s Miracle Network. Estela offers regularly-scheduled nutrition workshops at the studio and is available by appointment for personalized nutritional counseling. 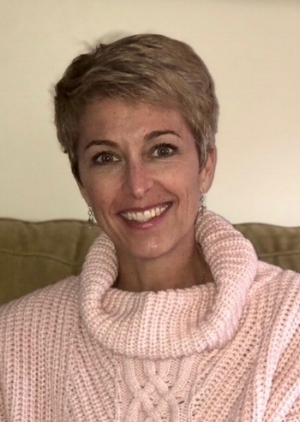 Nicole completed her certification in reflexology in 2016 with Rixie Dennison, RYT-500, CR of Mandala Healing Arts in Falls Church, VA. She found reflexology while on her own journey in healing from a chronic inflammatory disease and feels that reflexology has been crucial in her recovery. Nicole believes her treatments have been vital for detoxification and profoundly supportive in relieving stress. She became certified in the hopes of sharing with others this valuable art of healing for the mind, body and spirit.